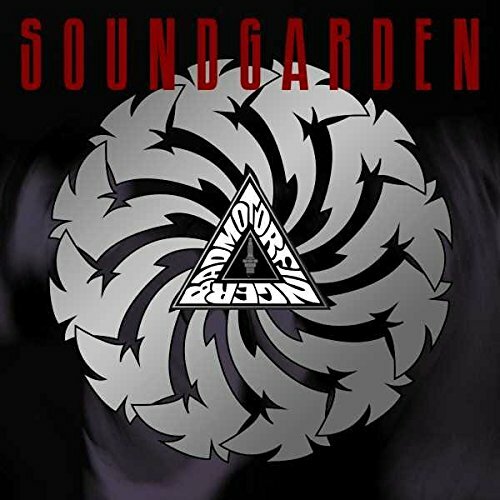 Beloved Seattle rock band, Soundgarden, is celebrating the 25th anniversary of their 2x platinum album, Badmotorfinger, with four special reissues including a 7-disc, limited edition, super deluxe version. The limited edition 7-disc super deluxe consists of 4 CDs, 2 DVDs, and 1 Blu-ray Audio disc with 109 tracks total: 79 tracks, videos & mixes are previously unreleased. The CD audio content includes the original album newly remastered; 15 previously unreleased studio outtakes newly mixed from the original analog multi-tracks plus the track 'New Damage' featuring Brian May from Queen; and Live at the Paramount: Soundgarden's first-ever complete concert album newly mixed from the original analog multi-tracks and recorded at the Paramount Theatre in Seattle on March 6, 1992. The band's first complete concert video features Live at the Paramount on DVD 1, newly edited from the original camera masters and newly mixed in 5.1 surround sound and stereo from the original analog multi-tracks. The second DVD is Motorvision + More: Soundgarden's 1992 Motorvision home video, released on DVD for the first time ever, showcases live selections from the two nights shot at the Paramount Theatre in March 1992 along with interviews from the band and friends. Bonus videos include 11 unreleased archival live performances from various shows and festivals in 1992 and the three official music videos from the album. The Blu-ray Audio disc contains the original Badmotorfinger album, three B-sides, and the three official music videos, newly mixed from original analog multi-tracks in audiophile 96kHz 24-bit 5.1 surround sound. The original album and three B-sides feature newly designed visuals directed by Josh Graham.